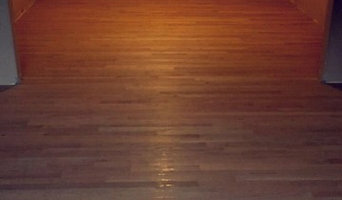 Hardwood flooring in Western Washington, that offers commercial and residential installing, sanding and finishing of hardwood flooring. Specializing in remodels, repairs, refinishing, water damage, and hardwood stairs. We are committed to our job and making our customers happy with our work. Years of experience. Best prices and best quality. In Wenatchee, look to us for one of the largest selections of carpet, hardwood, laminate & more- And you'll always find the best products and great savings-every day! Precision interiors has been business for over 30 years. Our history is based on quality and expertise, we always upgrade equipment regularly to ensure the best results and the interests of our clients. Our exceptional staff has the design skills, product knowledge and installation expertise to help you navigate your project from dream to professional installation. Segar Flawless Floors has been working with hardwood and other flooring products for two generations. We have seen all the good, bad and ugly and when you hire us you get all the experience to make your project the highest quality possible using only the best materials. Skelton’s is a second generation owned and operated company. Skelton’s is Lewiston’s premier floor covering business offering products in virtually all flooring categories. Sound Hardwood Solutions is a full service hardwood floor company with solutions and experience for EVERY project. For more than 20 years, Tri-City Carpet has been serving Pasco, Washington, and the greater Tri-Cities area. We are your expert carpet, flooring, and countertop dealer. Visit our showroom today. Kevin, of Element Hardwood Floors, LLC., views each flooring project as an opportunity to create something that is special and works hard to fulfill all of his clients unique visions. With over 40 years of service in Kitsap County, Floor Decorators joined Carpet One in 1985, providing the buying power of a large store, but the experience of a locally owned store. Callison Hardwood Floors is your one stop source for all your hardwood flooring needs. We're constantly looking for new concepts in products, finishes and installation methods to deliver the best finished product. Our dust containment system will yield a nice clean and healthier job during our refinishing projects. For the top notch customer service you expect from the Callison name give us a call today, you will be glad you did. San Juan Interiors offers the latest styles and products for your home. We offer complimentary design as well as custom measures. See our new showroom! Family owned for over 15 years. 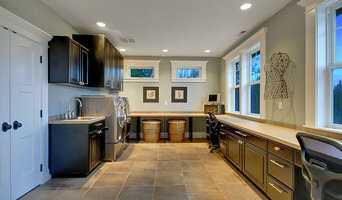 We have been the undisputed flooring professionals in Grant County since 1979. 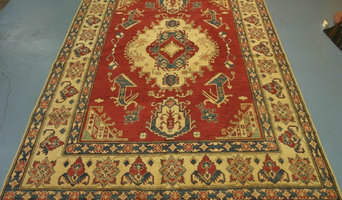 As a Carpet One Co-op member, we offer the best in product and guaranteed installation. Maranatha Hardwood Floors has been in the flooring business for more than 25 years, proving that we are indeed a reliable and true flooring contractor. We are based in Shoreline WA but we can serve all surrounding areas. 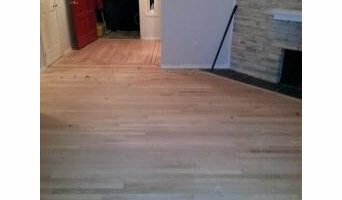 We specialize in hardwood refinishing (Swedish and Waterborne Finish) and laying in addition to offering hardwood maintenance services. Contact our assistant at (206) 306-9505 and find out more about all the projects we’ve delivered so far. We are more than happy to provide references. Ourada Designs provides a creative and innovative approach to hardwood flooring. Making use of a tree's natural edges, beautiful designs can be created to enliven and enhance any room. We offer in-home service with budget-friendly prices for your next home project. We look forward to meeting you at our Seaside location. Thank you for your continued business throughout the years. "Apollo Janitorial Services, continues to provide experienced and knowledgeable cleaners for most any commercial and/or janitorial services you could possibly expect from a professional and caring Seattle Commercial Cleaning company. " At CS Floors your satisfaction has always bene our priority and ultimate goal. We strive to make the floor of your dreams a reality. We look forward to serving you! Overstock Flooring by iFLOOR At the this sister location, you'll find the best prices on hardwood, bamboo, cork, laminate & vinyl flooring. Stop by our showroom today to see our huge selection or call for a free flooring quote. Tacoma Floors is a full service retail and commercial floor covering, counter top, and cabinet supplier. At Tacoma Floors we feel it is our job to pre-select quality products to meet any budget. Reliable Floor Coverings’ reputation has been built upon providing the customer with the best products professionally installed by our own installers in the Edmonds – Seattle area. At Strait Floors, we can help you choose from luxurious carpets in thousands of colors and patterns or the handcrafted beauty of exotic and domestic hardwoods. Proudly owned & operated family Seattle based company founded twelve years ago by Mike Diep and his father, Artisan Hardwood Floors brings the highest level of care and craftsmanship to every project. We offer a comprehensive selection of flooring products at reasonable prices, including carpet, area rugs, hardwood, vinyl, luxury vinyl tile & planks, laminate, porcelain & ceramic tile & much more!